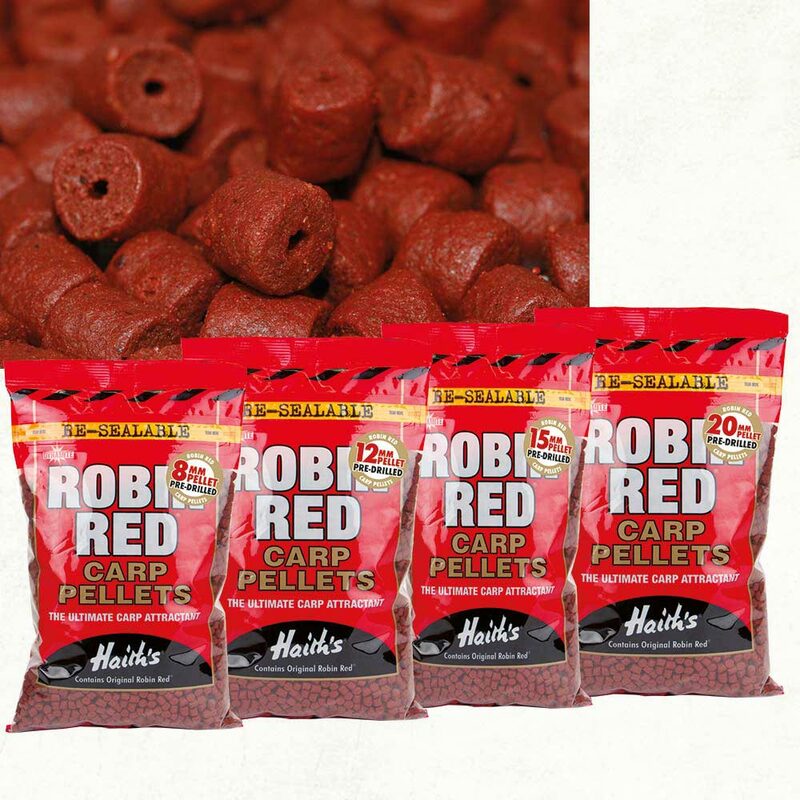 The legendary Robin Red ® is also available as a hugely popular range of high protein spicy flavoured pellets. Dynamite has once again teamed up with Haith’s ® the original producers of Robin Red®, to create these pellets – available as 8mm, 12mm, 14mm and 20mm sizes – all are pre-drilled enabling you to fish them on a hair-rig, or pull a bait band through them with no need for drilling. They are a deep red colour that contrast well against most bottoms and complement the rest of Dynamite’s Robin Red range – versatile for use on rivers, natural and commercial venues.